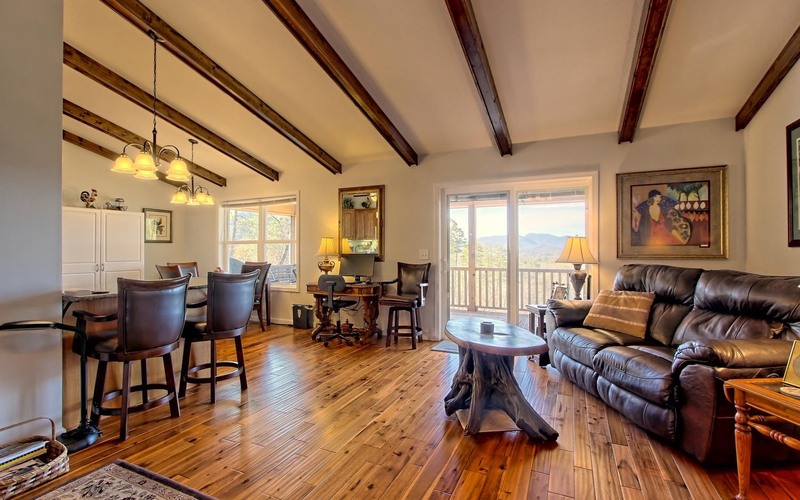 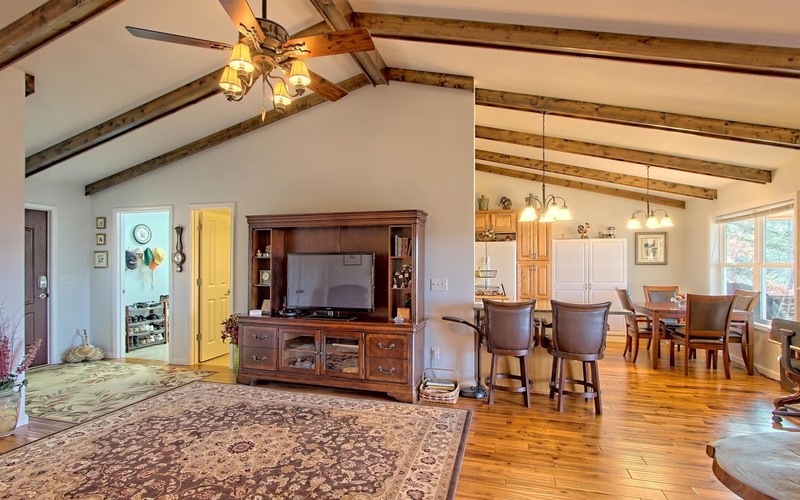 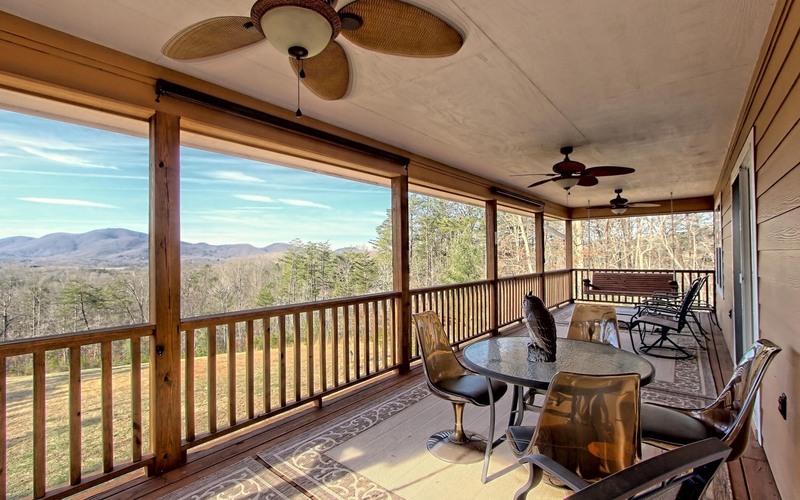 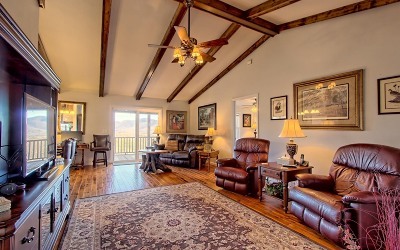 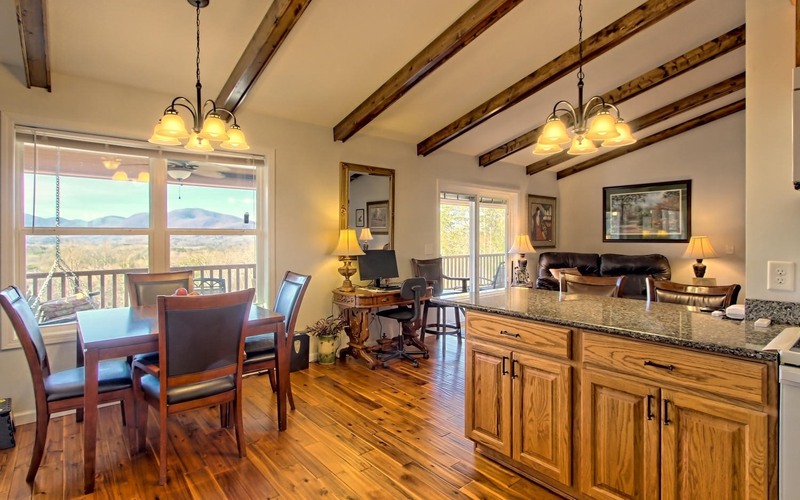 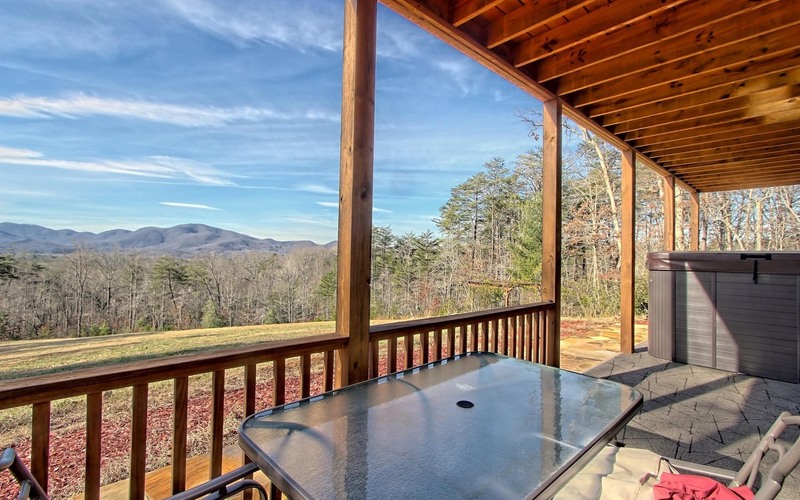 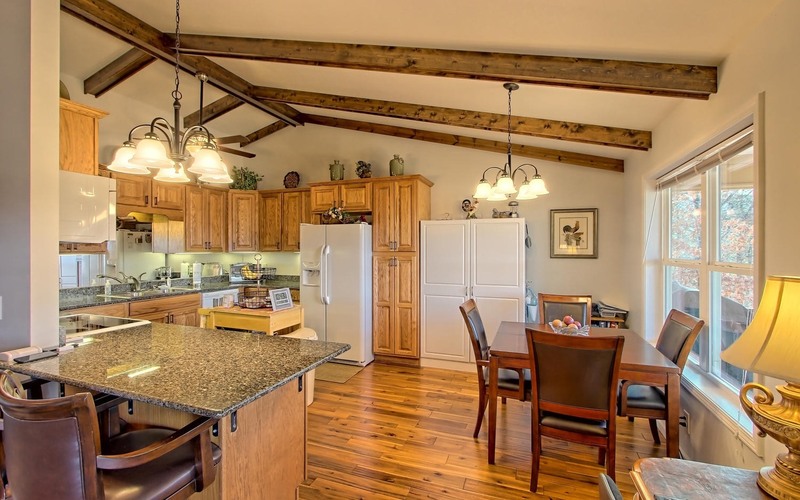 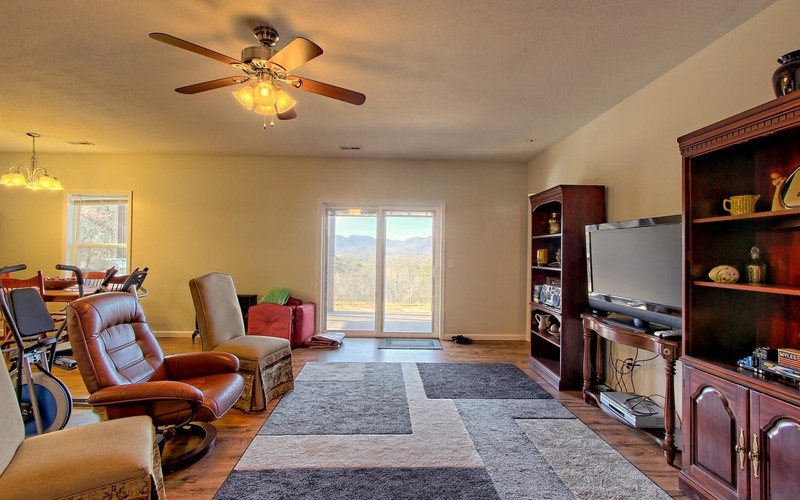 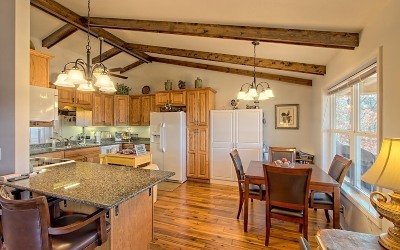 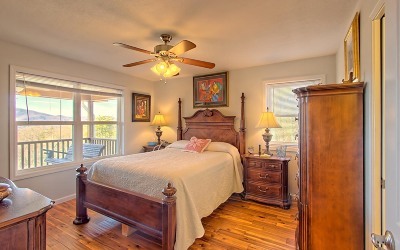 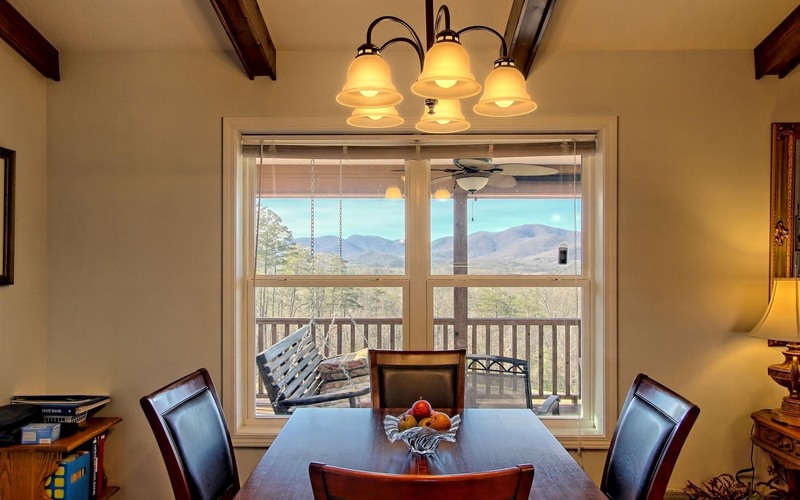 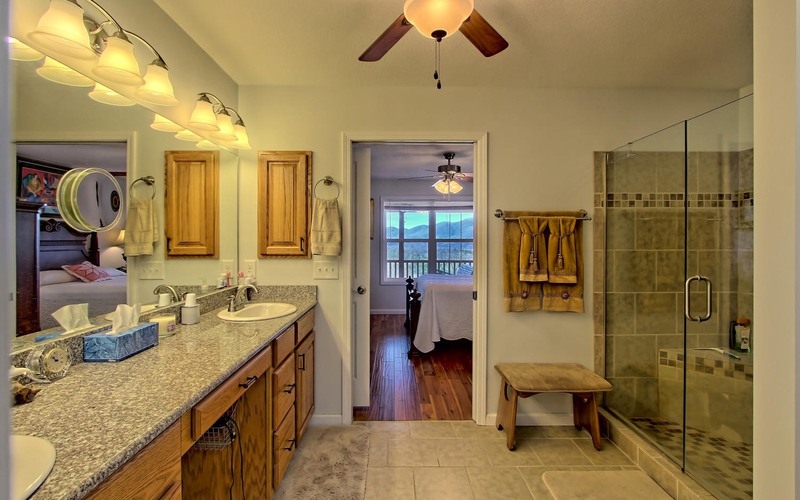 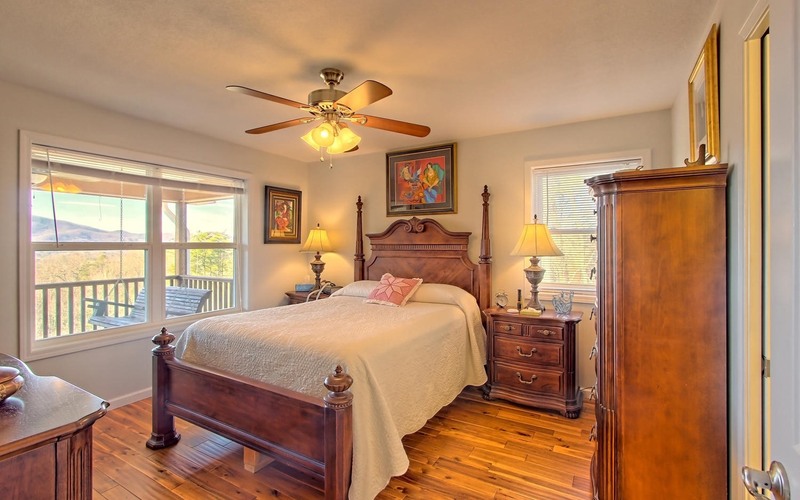 This home offers an open floor plan and huge back porch overlooking incredible mountain views. 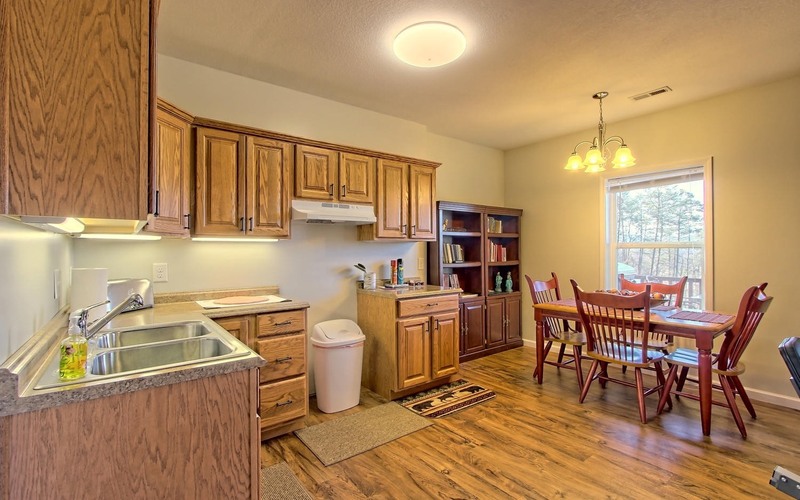 The kitchen features custom cabinets, lots of counter space and granite counter tops. 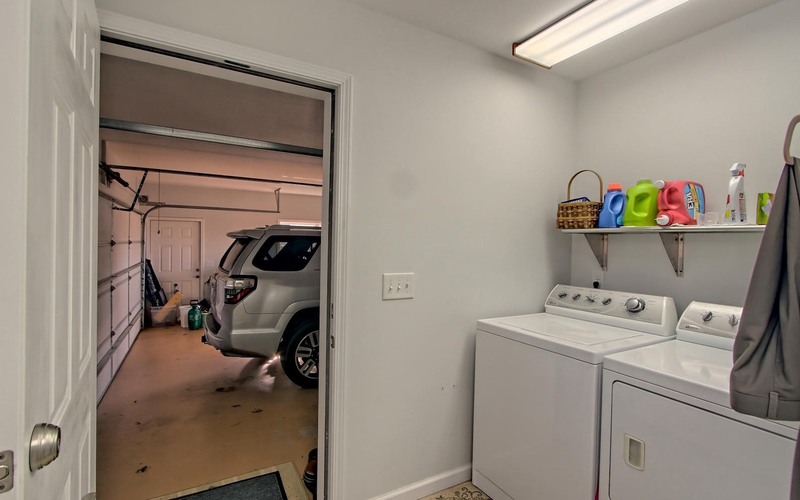 The master bedroom and the large laundry room off of the oversized garage are both on the main floor. 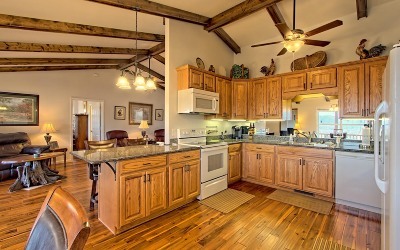 A walk out terrace level offers a kitchen area, 2nd Bedroom, Full Bath and could easily be walled off for a 3rd Bedroom. Walk outside to a 8x14 Jacuzzi Swim Spa and terrace area with outdoor fire pit and pergola where you can relax and enjoy the scenery. 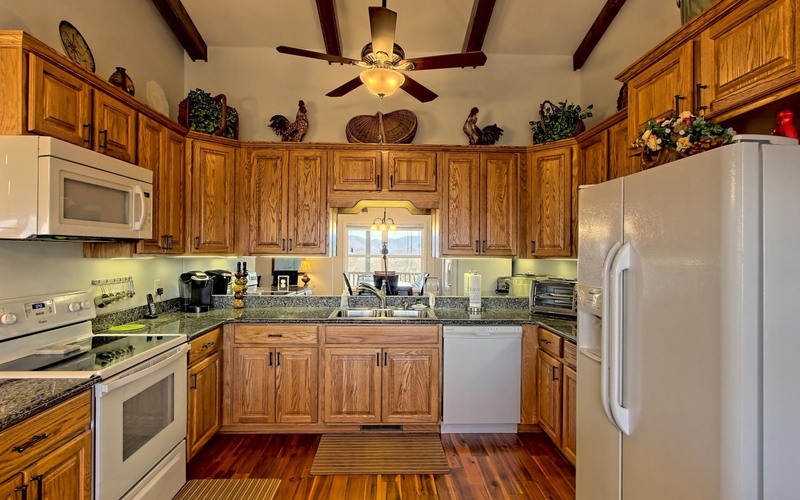 There is a large parking area for a RV with power & water hook up, an additional oversized 3 sided covered building for parking or storage, plus a carport and another out building. 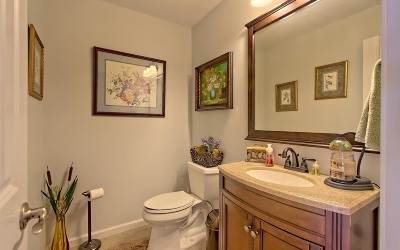 This property offers endless possibilities! 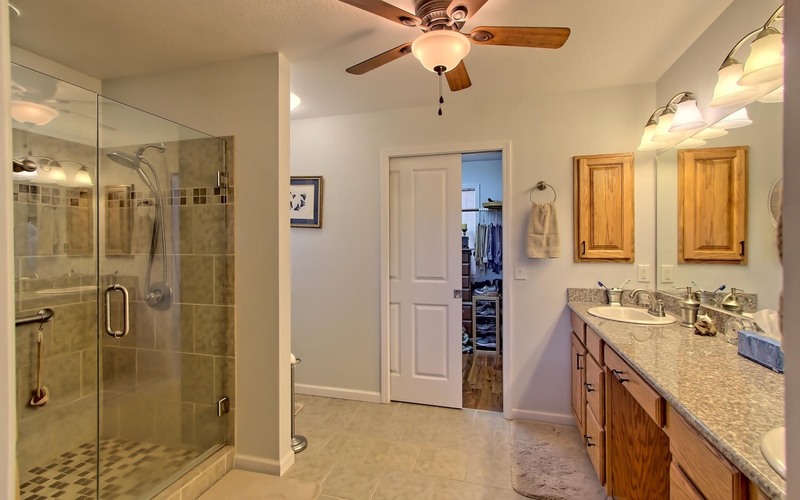 Easily accessible too! 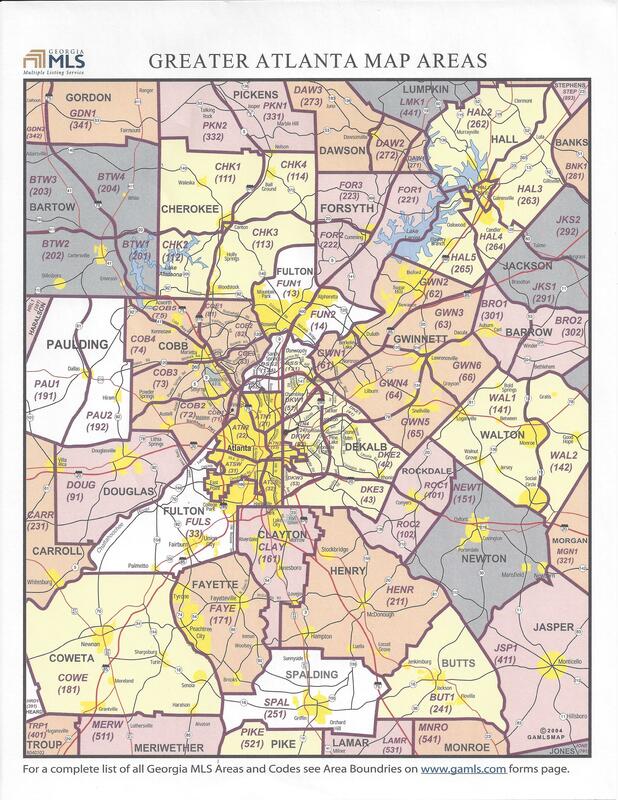 BRMEMC Fiber Optic internet.